Escondido Country Club (ECC) filed for chapter 11 bankruptcy 5/31/2012. November 2012, Stuck in the Rough LLC was formed by Michael Schlesinger. 12-4-2012 Schlesinger purchased ECC for a reported $2.2 M and took possession of the assets. In the Spring of 2014 Schlesinger had tons of chicken manure spread on the golf course. San Diego County Air Pollution Control Board forced Schlesinger to have the manure cleaned up. 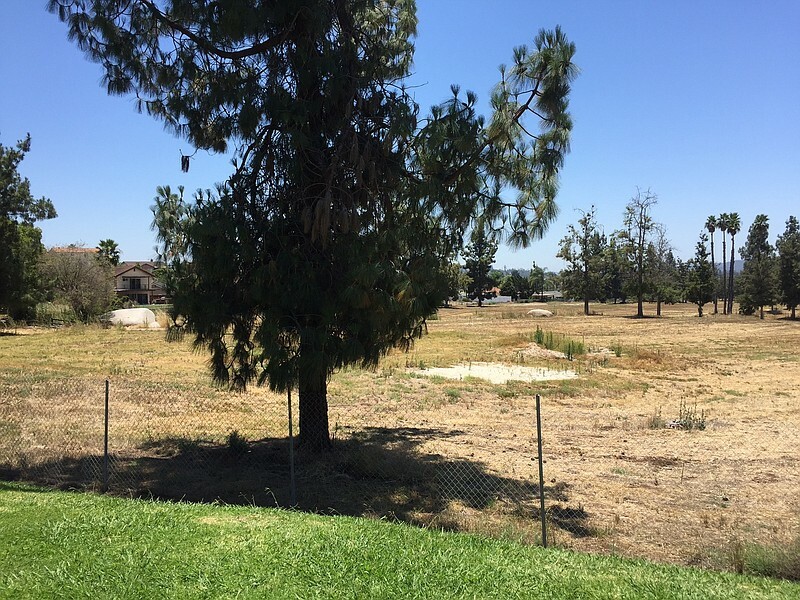 November 2014, Stuck in the Rough sponsored a ballot measure that would allow the property to be developed as a 430 home residential development. The measure failed 61% – 39%. The Escondido City Council passed a General Plan Amendment, declaring the golf course “open Space” and, therefore, not eligible to be developed for homes. Schlesinger sued the City on the grounds the change constituted an illegal “taking” and won. The two sides settled the case, agreeing that an unspecified number of homes could be built. 3-11-2016, San Diego Union-Tribune (SDUT) reported that New Urban West (general contractor) was taking over as the third developer of the project. One condition of the development agreement is that Schlesinger is to have nothing to do with it. The development consists of 392 homes. 5-13-2017, SDUT reports that a group that supports the New Urban West development has formed in Escondido and has between 50 and 100 members. 7-6-2017 Times Advocate Escondido reports the a 4800 page Environmental Impact Report will be available for public review in mid-August. 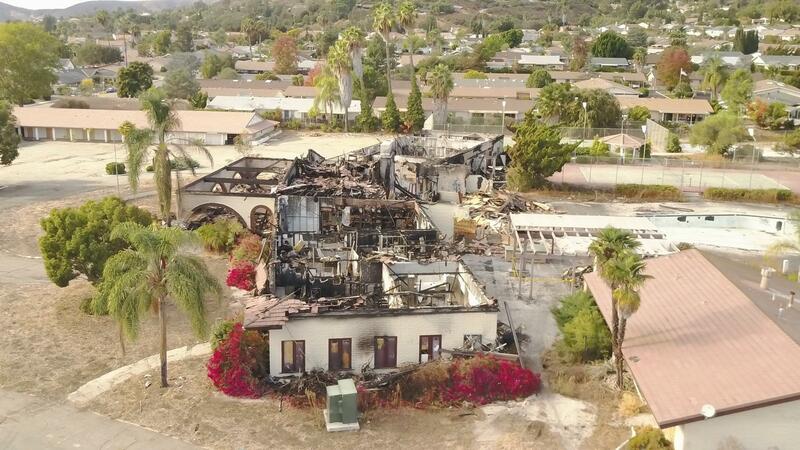 11-22-2017, fire swept through the main clubhouse, which had been closed since 2013. Ultimately, it was declared a total loss. 12-14-2017 Escondido Country Club Homeowners Organization (ECCHO) appealed the City Council’s approval of the development, alleging it represented a violation of CEQA, Escondido Zoning, and Proposition S.
3-7-2018, attorneys for NUWI notified ECCHO that their legal status had been suspended by the Franchise Tax Board for failure to file tax returns. By March 26, the necessary papers were filed and their legal status was restored. 3-21-2018 attorney Ron Richards filed a $100 million lawsuit against 5 ECCHO board members. April 2018 the clubhouse was demolished by NUWI contractors. 5-23-2018 the attorney for ECCHO served Stuck In The Rough (SITR) with a lawsuit, containing an anti-SLAPP motion and recovery of attorney fees. 6-13-2018, SITR dismissed its lawsuit and agreed to pay legal fees. 9-24-2018, ECCHO’s appeal remains “pending” as the City Council hears General Plan matters only in December.